The U.S. president has come to recognise how far behind the country has fallen on the continent. Doubling development funding to counter cheap Chinese credit smacks of knee-jerkism. It’s also unlikely to thwart Beijing, while putting American taxpayers on the hook for $60 bln. 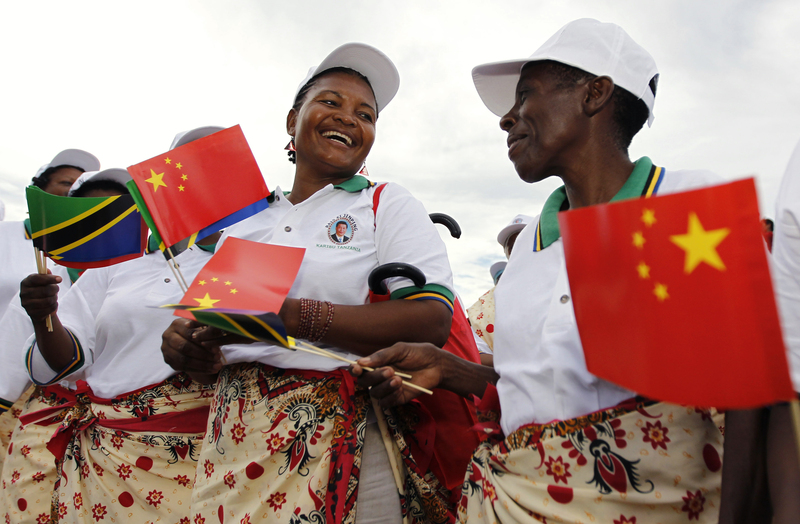 Tanzanian women wait to welcome China's President Xi Jinping (not pictured) during his arrival at Julius Nyerere International Airport in Dar es Salaam, March 24, 2013. Ray Washburne, head of the U.S. Overseas Private Investment Corporation, said on Sept. 25 he wants to double the amount it can invest in poor countries to $60 billion to counter the growing influence of China. OPIC is also seeking congressional approval to change its mandate to allow for equity stakes in foreign infrastructure projects, rather than merely offering debt finance. The U.S. House of Representatives approved a stand-alone bill approving OPIC’s expansion in July, OPIC said on Sept. 25. The legislation was subsequently incorporated into another bill that is due to be considered by the House on Sept. 26. At a summit with African leaders in Beijing on Sept. 3, Chinese President Xi Jinping offered another $60 billion in financing for Africa in the next three years and wrote off some debt. He also warned against funds going towards “vanity projects”. China pushed back on Sept. 4 against critics of its funding to Africa, saying it was helping the continent develop, not pile up debt.